Police are investigating a series of pellet gun shooting in the South Bay after several residents in San Jose have had their cats shot. Damian Trujillo reports. 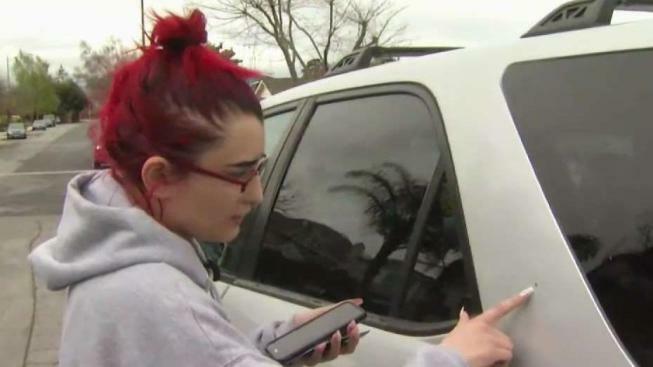 After a driver and her boyfriend in the Willow Glen area in San Jose posted on Facebook about their car being shot at by pellets, multiple people began sharing similar experiences. "A while back I had the same incident and got shot at as well," resident Abby Duran said. "One of my front windows was shot out." Residents in the Willow Glen area fear for the safety as they drive in their own neighborhood. "If it had been a second sooner, it would have hit him, or the driver window," resident Karina Mitchell said. Police say it is important to try and a description of the suspect or vehicle and to file a police report as soon as possible.